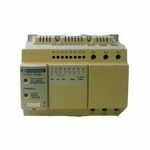 At starting, heavy current is drawn by the dc motor from the supply as some time is required by the motor to gain speed and hence to built up back emf. If the starter is not present then there will be overheating of armature and voltage drop in supply takes place. So starters are required to limit this initial heavy inrush current to stop the overheating of the armature. Hence the main functions of starter are to limit functions of starter is to limit the starting current in armature circuit during starting. So during starting, speed(N) is zero. Hence back emf E b is zero. If the armature resistances is very small then armature current will be very large. This excess armature current may damage the winding. 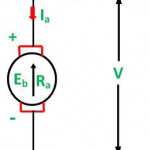 To avoid this excessive starting current, the starter is needed in the circuits of the armature. 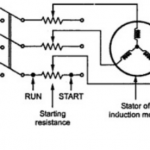 In the starter, additional resistance is connected in series with armature at the time of starting. 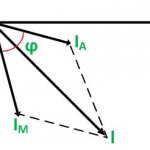 When motor attains its full speed, this resistance gets disconnected.